Human society has evolved rapidly. There have been revolutionary transformations in the quality of life. A pillar of society that has benefited massively owing to modernization and technological development is the medical field. Cures and medicines have been developed for most diseases. There is ongoing research to find lifestyle solutions and affordable cure for deadly and dangerous diseases. Lifespans are increasing, and overall mortality rates are higher in the developing countries as well. While right medicines and advanced treatments have surely accelerated the process of achieving better health, the most important element of the healthcare industry still remains the human factor. Medical professionals string together everything seamlessly and make the process of recovery and cure possible for the patients. In this post we discuss the most important qualities a responsible healthcare professional should possess. Good communication skills lie at the core of a healthcare professional. They should be able to patiently listen to their patients and their family members. They should know how to interpret and convey technical knowledge about diagnosis and treatment in a way, that the patient understands clearly. Empathy is also a big part of communication in the medical field. You have to learn to empathize with your patient, their worried family, and communicate honestly and appropriately. A healthcare professional should be able to communicate needs,requirements, and specifics of treatment effectively to colleagues and other healthcare professional. Only then the best treatments and therapies can be advanced to the patients. Healthcare is a tough professional field. To succeed and do well in this field, one has to be passionate about the medical field. It is stressful. Many traumatic situations will crop up. But you cannot lose your emotional cool. To learn the functioning of the medical industry, and acquire the highest levels of professionalism, consider professional qualifications like medical assistant certification. These take you a notch above the rest, and gives a boost to your medical career. Medical assistant certification helps you to learn the ropes of the industry and prove to your prospective employers that indeed you have cleared the rigorous standards of the Certifying Board of the American Association of Medical Assistants (AAMA). When preparing for this certification, you also become well versed with medical laws and ethics, medical transcriptions of anatomy and physiology and other areas of medical expertise. There is huge boom expected in the medical field. Passionate and driven youngsters can find rewarding prospects in the industry. Specialized certifications like phlebotomy technicians, patient care technicians and pharmacy technicians will enjoy great career prospects in the medical field. Besides, the level of specialization and expertise will be an added advantage. A healthcare professional may face many unexpected situations. Being a healthcare professional is not a typical 9 to 5 job, where every day is just like the other. You meet different people with different personalities in highly stressful conditions. It is not possible that your behaviour remains the same with everybody you meet. You have to be , assessing their moods and condition. This can be quite a task, especially when you are facing a lot of stress and pressure as well. Being dependable and having a high immunity to stress will be very helpful. But, there is no scope for error. You have to be flexible, and be able to adapt to different circumstances. It is not just difficult people, healthcare professionals encounter. They encounter almost impossible situations too. 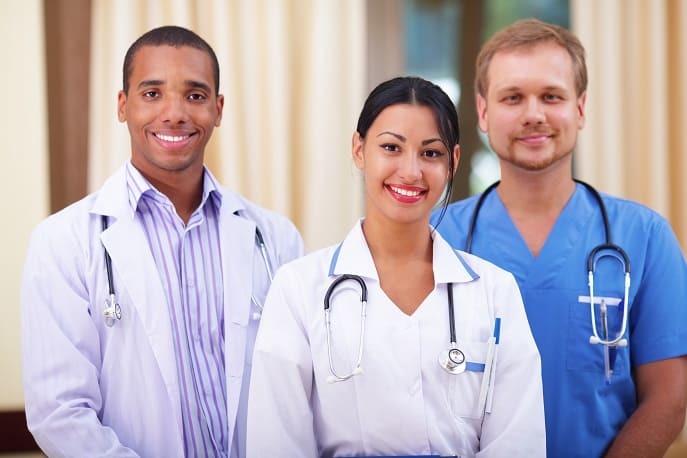 When you are serving as a medical assistant, you will be expected to perform a variety of tasks right from explaining treatment, and doing dressing, and changing wounds to answering telephones, scheduling appointments, cleaning and sterilizing instruments, and administering medication under physician supervision. It is not easy to juggle from one duty to another. Adaptability and flexibility becomes a major requisite for a good healthcare professional. A close off-shoot of flexibility is the ability to be a team player. As a healthcare professional you will have to be interacting with a horde of people. From doctors to therapists, to laboratory assistants to nutritionists, to the caretaker, you will have to co-ordinate and assist everybody and work as a team to achieve the final goal- the patient’s successful recovery. A positive attitude and effective communication is an absolute must. You must engage in actions that will benefit you, but also benefit others. For growing personally, and professionally you must foster a team environment, and help others grow while you climb the ladder of success yourself. Dexterity is a key necessity in healthcare professions. Precision and detail orientation is an asset. Diagnosis, assessment, prescription, medicine administration, all medical procedures, and documentation require attention to detail. Even the smallest of errors can cost very heavily. On the other hand, asking relevant questions by listening carefully can lead to beneficial consequences. Understanding, diagnosing, and interpreting medical charts also appear as important functions. This is a profession that involves human lives. The highest degree of integrity, honesty and transparency is a must in a healthcare professional. As you pursue and complete your medical assistant certification, you will learn important lessons of the medical field and emerge properly groomed to take on the trials and rigors of the medical world. To conclude, if you aspire to be a healthcare professional do remember that you can only educate , help and uplift others and do your work properly when you are in a good state physically and mentally. Have a nutritious diet, and adequate sleep. Indulge in regular physical activity, and avoid harmful substances. When you are physically and mentally fit, you are much better equipped to handle the challenges of the medical field.